Sometimes you have to give a little to save a little. Find out how! For many individuals, regular six-month visits to the dentist are a part of life beginning in early childhood all the way through old age. These regular visits lessen the chance of periodontal disease, affecting 47% of adults over 30 and 70% of adults over 65. Unfortunately not everyone subscribes to these regular visits, often due to fear of painful procedures or high costs. At Penn Dental Medicine we look forward to making regular oral care less painful. Here are some simple ways you can save on tooth cleaning. Assisting you in receiving the best care possible and helping you save money is what we love to do here at Penn Dental Medicine. 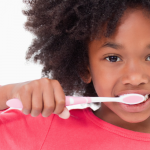 How Do We Save On Tooth Cleaning? Investing your time and your money into your oral health is worth it in the long-term. Avoiding these ways can ultimately result in paying even more for harboring an unkept mouth. Be sure to brush and floss your teeth everyday. Alright, we all know this is a given. But how many times do you really brush and floss your teeth everyday? According to a recent survey published by U.S. News, nearly ⅓ of all Americans don’t even floss their teeth. When you don’t floss your teeth you’re allowing food to stay trapped between the teeth and under the gums. Be sure that you’re flossing once a day and brushing twice. 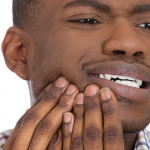 This will help you save money by preventing treatment for periodontal disease. Visit your dentist at least every 6 months. While it’s important to brush and floss at home, you need to be sure that you attend your 6 month (or sometimes 3 month) checkup. 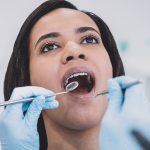 Your dentist or dental hygienist have special instruments that help remove hard calculus that’s formed from plaque that resides on your teeth, even after brushing and flossing. Invest in home teeth cleaning machines. Whether it be an electronic toothbrush or a water jet teeth cleaning system – ask your dentist about the best tools for you to use at home. 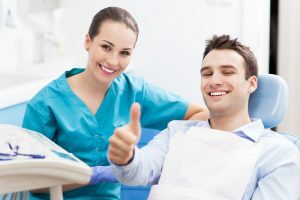 The more efficient you are at home, the better chance you have in the long run to save on tooth cleaning in the future and have a healthier smile for the rest of your life. 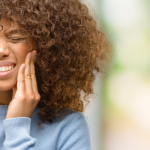 For more information on how to save on tooth cleaning with Penn Dental Medicine, you may be eligible for a discounted appointment. Simply give Penn Dental Medicine a call at 215-898-8965. You can also save even more by downloading our $25 off coupon. We look forward to serving you with a smile!